So you’ve got a fancy road bike, you’ve racked up some training miles and now you want to go explore pastures new. Maybe even tick off a few epic Cols. Well unless you’re hiring out there, you’re going to need to pack your bike! 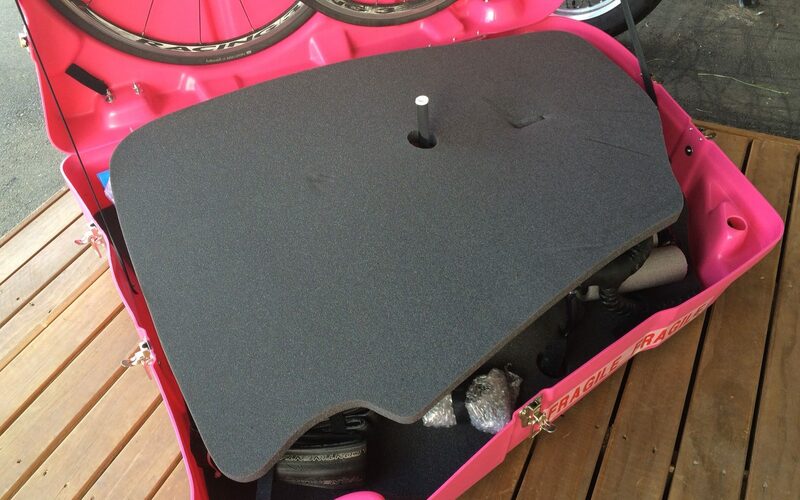 In my opinion there’s no substitute for a proper hard case bike box. 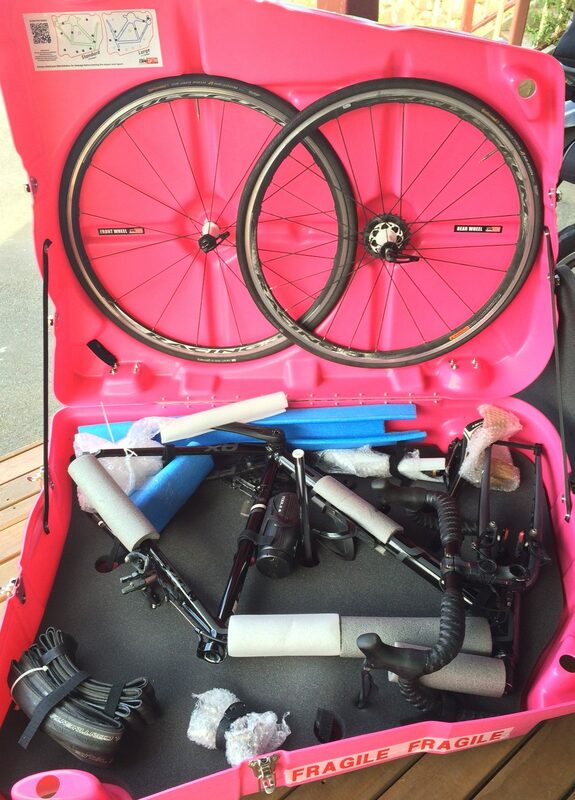 Sure soft bags are lighter and usually slightly smaller, but if you want the best peace of mind for your (probably quite expensive) road bike then it’s GOT to be a hard case box. Nobody wants to arrive at their destination to find a snapped derailleur or worse, a crushed carbon fibre frame! My favourite is the Bike Box Alan. It’s got plenty of padding, Velcro straps to hold everything in place, anti-crush pole plus loads of extra space for all your other gear such as helmet, clothes or nutrition. While not the cheapest and at a shade under 11kg not the lightest, in every other way the Bike Box Alan really is a cracker. Mine has protected my bike when flying across the globe and also when moving house. Foam protective layer sits between frame and wheels. Note the anti-crush pole. Yes, I bought a bright pink one! ;-) It’s taken some hard knocks along the way and there’s plenty of scratches to the outer case, but everything inside has always arrived in perfect order exactly how I packed it. You can’t ask more than that. Previous Post Late to the Zwift party! Next Post Do you even Zwift, bro? I rented on just like that but it was completely transparent, looked seriously cool. The bike even survived 2 budget airline flights! Decent piece of kit. I too would have gone pink…nicely done!